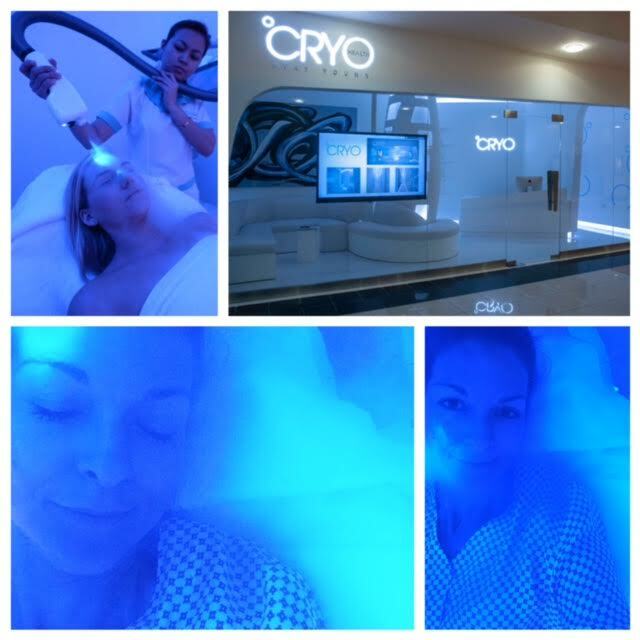 This week, I got to experience the CRYO technology. So what's up with the cold blue light and all the hipe I see on Instagram? Cryotherapy is a curative health treatment involving extremely low temperatures (-120 to -160 degrees Celsius), in order to stimulate multiple health, fitness, weight-loss, healing, and beauty benefits. In 1978, Japanese doctor Toshimo Yamaguchi discovered that decreasing the temperature of his patients’ skin reduced the pain they felt during joint manipulation treatments. There are many benefits of CRYOtherapy from athletic recovery to weightless. The CRYO is also about beauty and wellness, the CRYO Beauty Angel Facial is a favourite. It revive your skin and activate the natural production of hyaluronic acid and collagen with this age-defying treatment, which incorporates innovative Infrared Technology and a CRYO glow facial. The cleansing and nourishing process is enhanced through the active ranges of infrared light that are gently absorbed by the skin, reducing fine lines and leaving your skin visibly smoother and plumper with a restored youthful glow. I tried the CRYO Glow Facial. Ten minutes of gentle cryogenically cooled air activates collagen production in the deeper levels of the skin, increasing the skin’s capacity to rejuvenate itself, regain elasticity, appear smoother and bring forth a youthful glow to your face. It was brilliant! The cold is so invigorating, and get your skin feeling tightened and glowing. I can imagine, being a powerful tool to long time benefits if used regularly. Check out full price list here. Mother’s Day is around the corner and CRYO’s got a great offer to celebrate the occasion. With every refreshing CRYO Glow treatment or detoxifying Beauty Angel facial purchased, CRYO will offer a complimentary Glow facial. Valid from March 20th to March 26th (Mother’s Day week) at Dubai Ladies Club, this offer is perfect for a mothers-bonding pampering session! Don't miss out! CRYO is now also available in the UAE at Dubai Ladies Club on Jumeirah Beach Road, FitRepublik gym in Sports City, Energy Plus Fitness Club in Al Ain and Abu Dhabi Country Club.